Real world day job has taken the front seat and kept me busy. I made up for it this holiday weekend!! 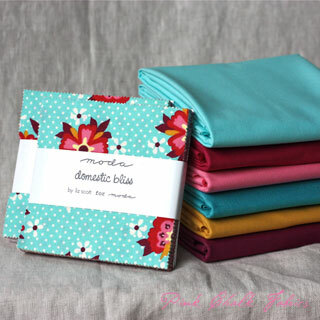 These beauties are from Pink Chalk fabrics monthly club. Two charm packs and coordinating fat eighths every month? yes please! QAL starts Thursday! Are you participating too? Your boyfriend's quilt looks fabulous! And I love the fabrics you'll be using for the Granny Squares. I don't plan on starting that one yet, but I love all the blocks I see popping up. Can't wait to see yours! I was just thinking I had to start some of those cute granny squares, now that there's a quilt along, no reason not too :) And the film strip border, awesome - I'm definitely going to use that in the future. Beautiful quilt!!! I love the boarder!!! And I can't wait to see how the Granny squares come out!! Beautiful fabric! 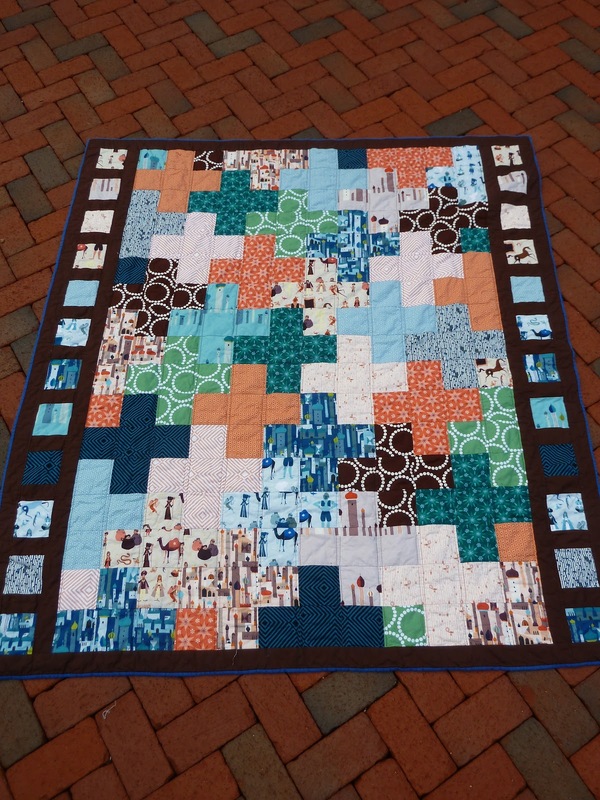 Love the filmstrip border, lovely quilt. Love the filmstrip bordered Peeps! 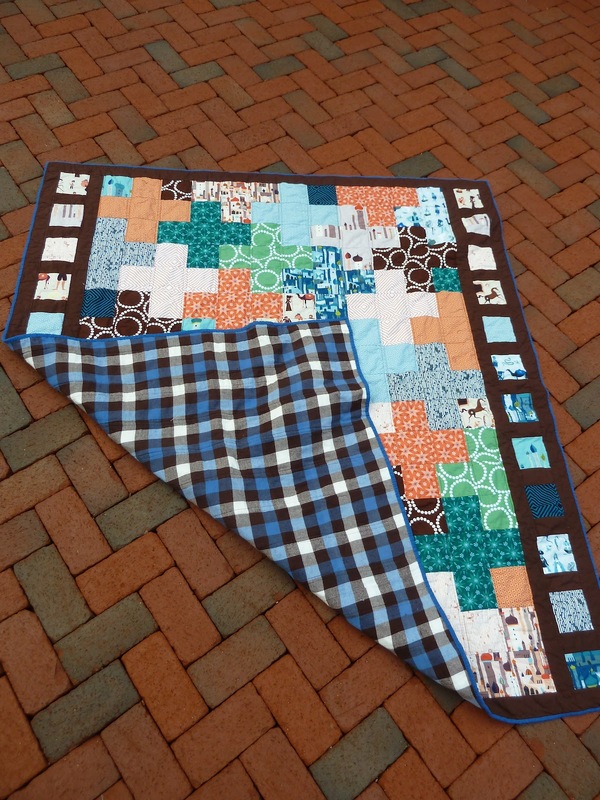 I love Plus quilts and the filmstrip edge looks really effective too! What a great quilt! And Domestic Bliss is gorgeous - can't wait to see that one! That quilt is wonderful and ya the granny squares are cool I made one last night they are cool. Just looked through your finished quilts,,this one is my favorite! I just love it! 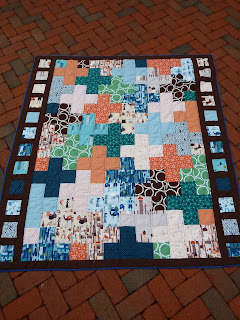 Especially those film strip edges - gives it your own spin on the plus quilt pattern. Nice backing flannel print, too.